Thank you, school board members, administrators, students, and the faculty for whom I represent for allowing me to address you today. 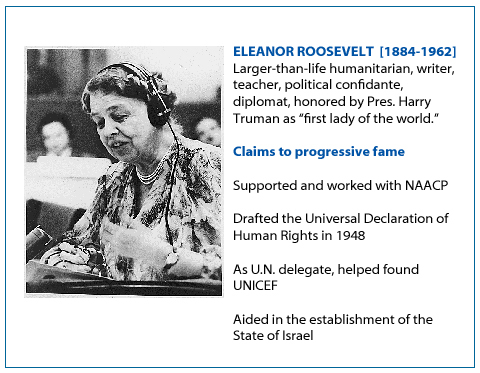 I’d like to begin with a quote given by First Lady, Eleanor Roosevelt, who advocated for human rights and became an essential advisor for her husband, President Franklin D. Roosevelt. Whenever I face an anxious situation, like speaking on this stage in front of you, I like to pretend Eleanor is standing next to me. 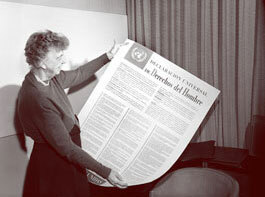 Her maxims are great ideas, life principles to follow, and there are four I’d like to share. Come up with a strategy. Then try it. Students, today you are commended for improving your grade point average over the course of a semester or a year. You are here today because you tried. Creating a goal is the first step. To execute the strategy requires focus. Remember, you are not competing against the person next to you. You are in a marathon race with yourself and your success first depends on a course of action. How did your strategy work? What can I do differently to achieve a better result? Life is about tweaking, modifying, and scheduling your time. If you manage your time well, efficiency will catapult your goals and results easier to achieve. Ever notice how true experts, athletes, and artists make it look so easy? It’s because they are efficient, focused, and tweaked their “performance” over time. You change. Don’t be passive. Don’t wait for someone to suggest what you should do. This is your education, your life. Decide what worked and what didn’t; create a new strategy and try again. It is all about you. This is the hardest principle to live by and it truly makes all the difference, for it is a choice, happiness, and it starts with positive thinking. Insecurity. Fear. Labels others give you. Mountains to climb, Hardships. Loneliness. These are your companions for the rest of your life. What helps you achieve your goals, your dreams, is your attitude. Avoid succumbing to the negative by discovering strategies for dealing with these sap-sucking companions. People surround you who want to help you bypass your obstacles. Seek out the advice from those who have succeeded. You are never alone. A positive attitude takes practice, it is akin to hope, and worth the effort. How do you acquire strong self-esteem? How do you become confident? Self-reliant? Surround yourself with people who are positive. Allow them to fill the hours of your day and you will gain courage to face all those who only see the negative–the whiners, the complainers–those who want you to be miserable with them. Can’t find anyone positive? Then be your own best friend. Let the positive people from the past be your inspiration and your friends. 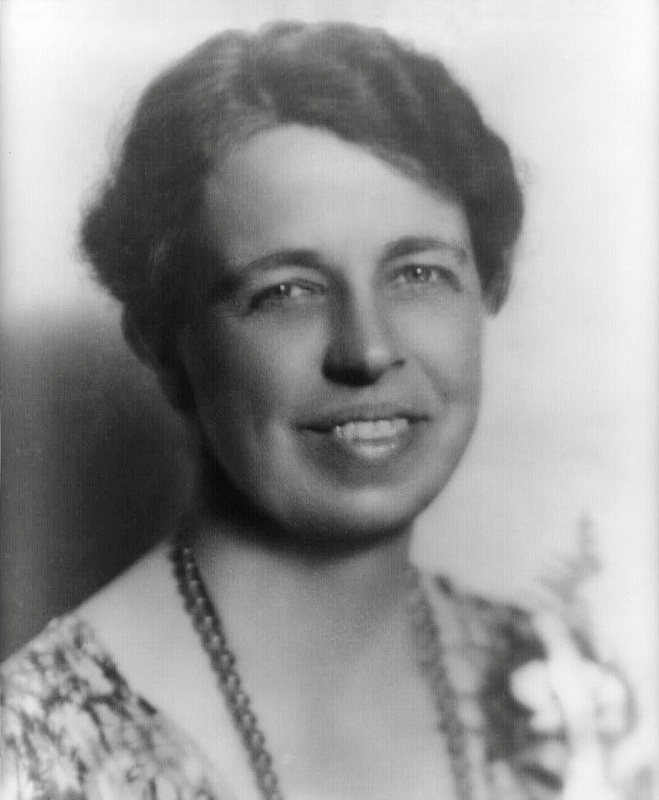 Like Eleanor Roosevelt. They will give you courage. Let them be your teachers. 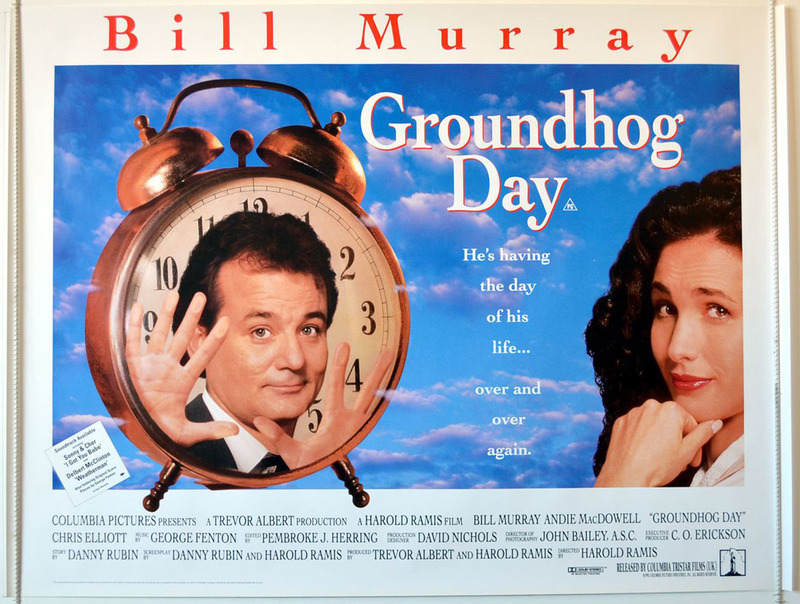 There’s an old film I’ve made a personal connection with and that’s Groundhog Day starring Bill Murray. Here was a story about a negative, obnoxious man who, stuck in a time glitch, relived his day over and over. He disgusts the girl of his dreams and can’t figure out why she doesn’t like him. Every day he learned something new. He discarded selfishness and cultivated a positive attitude. He became philanthropic. He became a leader in the community and devoted his time to learn something new, motivated to win the love of his dream girl. What if every day was the same day and you chose to reinvent yourself? What an opportunity! What would you do? What if you were the leader and positive role model for someone else? What do you think would happen to you? Give it a try. Practice. Try. Read all about it. Imitate. and remember a Cindy Bruchman adage: “Follow the Good, and lead yourself.” Thank you. No, thank you, Eleanor. It’s easy to be wise when you adopt the wisdom of others. Wooops accidentally hit submit. 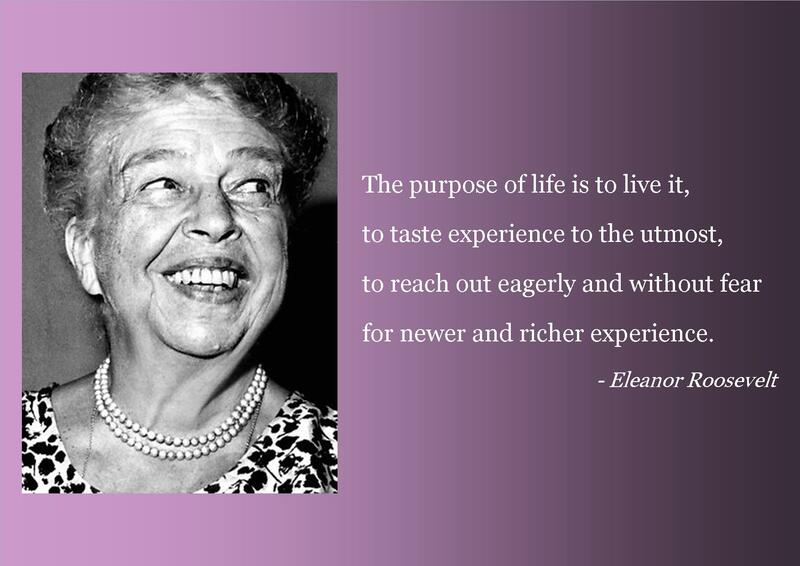 She had some great quotes to live by. So thank you Roosevelt and thank YOU Cindy for sharing this! Thanks, Ruth. She sure did. I think of her as an aunt, a sister. Her words are powerful. That’s awesome to have a wise virtual sister like that. Has there been a biopic of her made for either TV or film? That’d be a fascinating subject wouldn’t you think? EXCELLENT! What more can I say? Eleanor – and you – have said it all. Words to live by. Lovely speech. She was a great woman. Eleanor – hell of lady. Knew some spiritual principles. Groundhog Day – one of my Favorites. Thanks, JC. It’s an absurd plot but somehow Murray makes me believe it’s possible for that time warp…. It plays upon the principles of reincarnation and karma. We keep coming back until we learn Love. Which breaks the cycle of incarnations – freeing Soul. I’m a huge fan of a lot of her quotes. 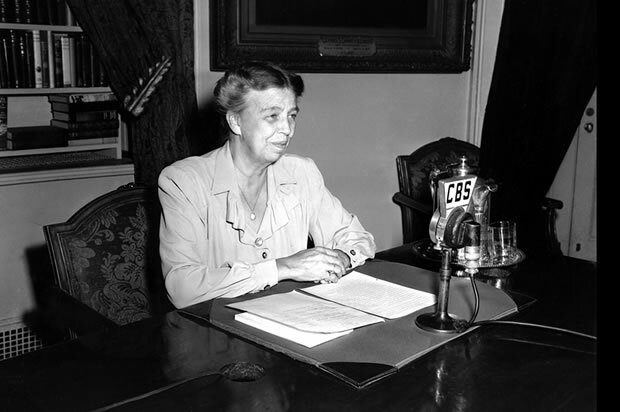 Did you see the PBS special on the “Roosevelt’s”? It was very interesting and enlightening. This was brilliant, Cindy. What a fantastic speech and truly wonderful messages. I hope everyone was awake, attentive and moved by your words. I know I would have been. 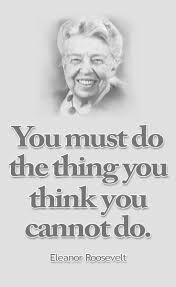 I adore Eleanor Roosevelt. There are so many quotes of hers that I have tucked into drawers or books or painted on my walls as reminders for how I want to live my life. Thank you for sharing your and her words–they are like-minded and wholly appreciated from this side of the screen. A really inspiring speech – and I don’t need to be a school girl to learn from it. I particularly like the idea that you cannot possibly make all the mistakes yourself. What a wonderful speech Cindy, and some great words of wisdom, by a great lady. I tend to be surrounded by soooo much negativity in this country, but I always tend to think positively despite it, and try and not let them gt me down. Plus I hate to gossip, especially about people. I am like ‘their personal life is their personal life, it doesn’t concern me, whose doing what to whom’. Really enjoyed reading your very inspirational speech. Thanks, TBM. How is your writing? Working on a third novel? Thanks for this Cindy. Will read this again and again. wow, thanks, my friend. Eleanor is the best. She truly inspires me and gives me courage.